Oscar contender Call Me By Your Name has receiving mostly positive reviews and been listed as a favorite by many in 2017. Now the film's director Luca Guadagnino can celebrate adding Frank Ocean to that lot. MICHAEL STUHLBARG IS MY NEW DAD NOW AND THAT’S THAT. 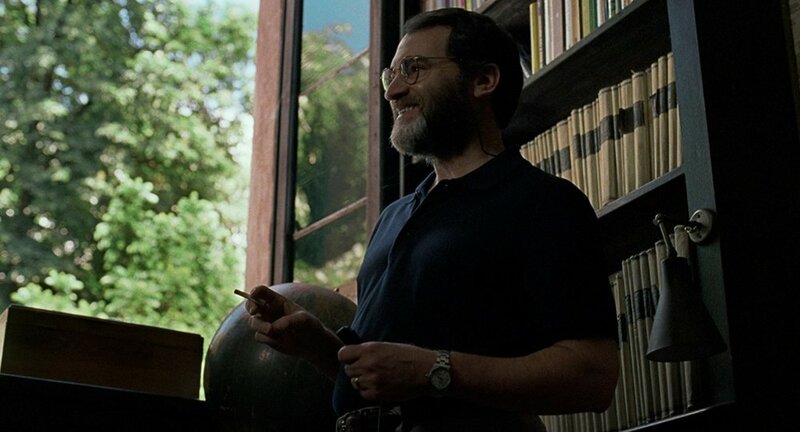 Michael Stuhlbarg plays Mr. Perlman, father of Elio Perlman (played by Timothée Chalamet) in the film. Clearly the relationship between Stuhlburg and his on-screen son resonated with Frank, who shared a similar experience to Chalamet's character as a young man; an experience he shared in an open letter in 2012. I'm the biggest fan of his in the world. He has shown all of us what it is to have, beyond artistic integrity, fresh artistry in a time where, because of the digital landscape, it can be hard to maintain the mystery and freshness. I think he's done it. More importantly, the music—and I'm not a musician—but the music and the artistry, it's so incredible.